The Health Insurance Portability and Accountability Act of 1996 (HIPAA) protects the confidentiality and security of healthcare information. HIPAA governs the use and disclosure individuals’ identifiable health information, among other things. This includes written and verbal communications that mental health and substance use disorder providers (behavioral health providers) have with the individual, the individual’s family members and friends, other professionals, health plans, law enforcement, and associated documentation requirements. This course addresses some of the most common HIPAA-related legal and ethical challenges faced by behavioral health professionals, including those who work in hospitals, clinics, community mental health centers, addiction treatment centers, and private practice. The goal of this course is to improve your understanding of the HIPAA Privacy and Security Rules and how they apply to your day-to-day professional responsibilities as a behavioral healthcare provider. Interactive case vignettes and exercises will provide you with the opportunity to apply and deepen your knowledge of this critically important topic. By successfully completing this course, you will be able to identify potential legal and ethical issues related to HIPAA, improve your compliance approach, and develop more effective risk management strategies. This course does not constitute legal advice. Please consult with legal counsel regarding any specific HIPAA-related issues you confront in your workplace or practice. If you need more comprehensive information or have more general questions regarding HIPAA, the Department of Health and Human (DHHS) website, your malpractice insurance carrier, HIPAA privacy officer, general counsel, compliance officer, or professional associations may be of additional assistance. Relias, LLC, #1273, is approved as a provider for social work continuing education by the Association of Social Work Boards (ASWB) www.aswb.org, through the Approved Continuing Education (ACE) program. Relias, LLC maintains responsibility for the program. ASWB Approval Period: 2/10/2018-2/10/2021. Social workers should contact their regulatory board to determine course approval for continuing education credits. Course Delivery Format: Asynchronous Distance Learning-interaction includes quizzes with questions and answers, posttests. This module is text-based. Social workers participating in this course will receive 2.00 Clincical continuing education clock hours. 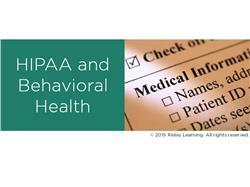 Describe the purpose of HIPAA and how it applies to behavioral healthcare providers. Apply the privacy and security rules to your practice or work setting, including your professional communication and documentation practices. Identify potential ethical or legal issues related to HIPAA in your work setting and employ more effective risk management strategies to avoid violations. Apply updates or review your HIPAA policy and procedures relative to recent changes in the HIPAA privacy and security rules. Linda Weaver, Ph.D., J.D. is a licensed psychologist in the state of New Mexico. She holds a doctoral degree in clinical psychology from the University of South Florida and a Juris Doctorate from Georgetown University Law Center. She has over 30 years’ experience in behavioral health, which includes serving as the HIPAA privacy officer for a large behavioral health care organization. Currently, Dr. Weaver consults with large employers regarding the implementation of behavioral health best practices consistent with health care’s complex legal framework. Disclosure: Linda Weaver, PhD, JD has declared that no conflict of interest, Relevant Financial Relationship or Relevant Non-Financial Relationship exists. 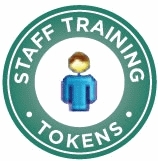 The target audience for this course is: intermediate and advanced level Alcohol and Drug Counselors; intermediate and advanced level Marriage and Family Therapists; intermediate and advanced level Professional Counselors; intermediate and advanced level Psychologists; intermediate and advanced level Social Workers; Nurses; in the following settings: Health and Human Services.